Westfield, Indiana may be the best-kept secret suburb of Indianapolis. Never been? We recommend visiting any time of year for plenty of family-friendly activities, but when it comes to the holiday season… Westfield does it up right! Here’s a roundup of our favorite holiday time traditions. Ho ho ho! Don’t miss Westfield In Lights, a fun holiday celebration in downtown Westfield. Free activities for the whole family include visiting Santa, his reindeer, and Frosty the Snowman, train rides, a gingerbread house display, live musical entertainment, food vendors, and of course, the annual tree-lighting celebration! The Grand Park Running Series will Holly Jolly Hustle – a fun and friendly, monthly running series at the Grand Park Sports Campus in Westfield. There’s something for everyone to choose from – a 5K, 10K, 15K and 20K. A fun way to warm yourself up on a cold December day! Got the whole family in town for the holidays? Take them ice skating at The Arctic Zone. 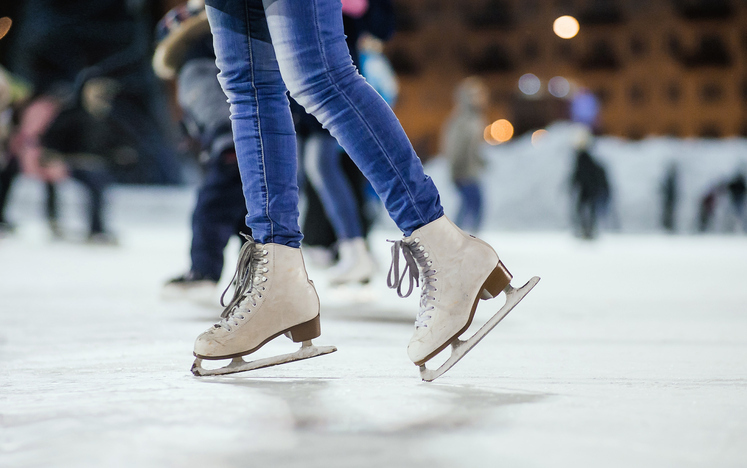 Public skating is open to all ages, whether you are a seasoned ice skater or just trying it for the first time. The Arctic Zone Iceplex offers a friendly atmosphere where you can enjoy ice skating while listening to music and socializing with family and friends. Or, head over for an evening of Cosmic Skating with special effects lighting and music. See you soon around Westfield! Contact us to learn more about our approach to land development and our vision for Westfield. We would love to discuss available lots and opportunities with you.